Many individuals and companies who are now venturing into developing mobile applications are facing the issue of: “how am I going to advertise and market the mobile application when there are millions of mobile applications available in various mobile application marketplaces?” and “how am I going to gain a competitive advantage and be able to differentiate my mobile applications from other mobile apps which user can download?”. Fortunately for these individuals and companies, there is in fact a way to market and advertise their mobile application for android or any other platform at a very low rate to themselves. One trend which has been happening in the past few years is that mobile application developers and mobile app development companies are into process to develop mobile app, which integrate with Social Media Platforms (such as Facebook, Twitter, Linkedin, MySpace, etc) which allow the mobile application to market itself via these social media outlets without having to do much. Many mobile applications (specifically mobile gaming applications) will have a feature within the mobile app itself where users can choose to post their high scores on their Facebook/Twitter/Linkedin/MySpace account so others can view how good/bad that user is doing in a specific game. The future is bright for the mobile application industry and social media engines such as Facebook, Twitter, Linkedin, Myspace are assisting in adding more fuel to the fire and carrying the momentum of the mobile application space to new heights. 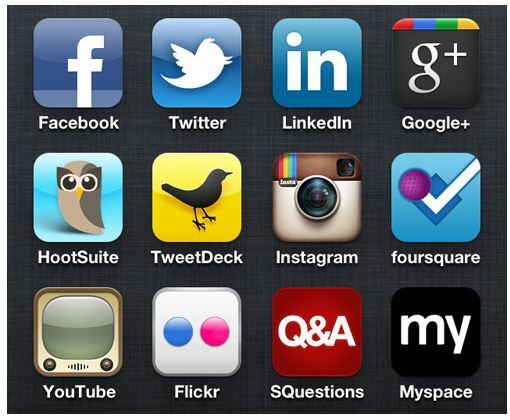 Yes, it is true that the mobile application industry would still be successful if they did not integrate social media platforms into their mobile applications but at the same time, social media platforms has allowed the mobile application industry to rise to more popularity than it would have if it were with social media platforms. The future is impossible to predict but one thing for certain is that mobile application developers, mobile application development firms and the mobile application industry has a bright path ahead of themselves.